As our online communication gets flooded by questions about the lockers and changing rooms, we’ll provide extra information! Our lockers can be found at Elfia Mainstreet next to the Tourist Information. You can find them on your right hand after passing the border. 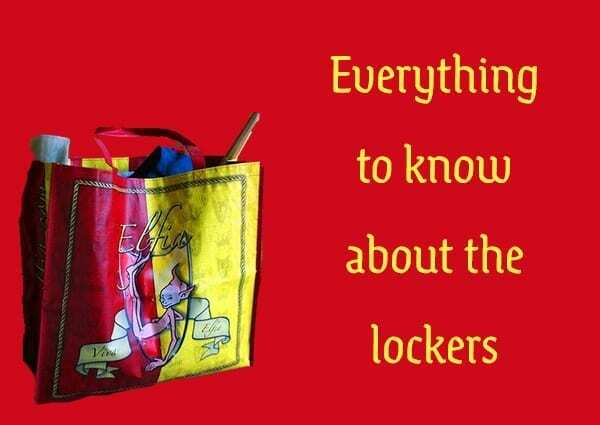 Our locker system works with big bags (bigshoppers). For €5,- you can use a bag to store your belongings all day. If you want to add or take something from the bag, that is possible all day long. For oddly shaped items which won’t fit in the Elfia bag, we have slightly other arrangements. It can still be stored, but another price will be agreed on based on the objects size. Next to the lockers-stand, you’ll find the changing room. Here you can change into your beautiful outfit and back.